BNY Mellon's proprietary analysis is based on aggregated client data of 85 endowments and foundations representing approximately $192 billion in total assets for the 2017 calendar year. BNY Mellon, a global leader in investment management and investment services, today announced new findings from its Asset Strategy View®, a solution that leverages proprietary aggregated client data to generate market intelligence about institutional investor allocation behavior. The report shows that endowments and foundations (E&Fs), small and large, benefited from relatively large exposures to a buoyant U.S. equity market, with a (14.57%) one-year average return for all E&Fs. However larger E&Fs that invested more heavily in alternative investments such hedge funds and private equity asset classes, outperformed smaller institutions that took bigger positions in traditional equity and fixed income asset classes. 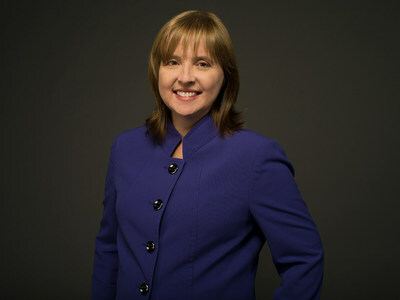 "Institutions with smaller asset bases tend to have fewer in-house investment professionals, that can sometimes make it more difficult for them to access alternative investment options that are leveraged by larger endowments and foundations," said Frances Barney, CFA, and Head of Global Risk Solutions, BNY Mellon Asset Servicing. "While endowments and foundations of all sizes experienced strong performance in 2017, they seem to have a shared concern about increased market volatility, evolving tax and regulatory reform, and anticipated interest rate increases in 2018. We look forward to discussing these new findings with clients, and to help them better understand peer comparisons in allocation and performance across various asset and sub-asset classes." BNY Mellon's analysis of aggregate client data from 85 E&Fs in 2017, showed larger institutions outperformed smaller institutions by just over (1%), and in nearly every sub-asset class. Overall, institutions with less than $1 billion in assets experienced strong annual returns of (14.15%) compared to those with more than $1 billion in assets at (15.2%). The findings also revealed divergent approaches to asset allocation. Over the last five years, smaller E&Fs increased exposures to fixed income (+21%) and equities (+8%) while lowering exposures to alternatives (-15%)- particularly private equity and real estate. Larger E&Fs have tended to maintain exposures to alternatives (+5%) and equity (+1%), while significantly reducing their holdings in fixed income (-32%). To learn more about Asset Strategy View® or BNY Mellon Asset Servicing, please visit our website or submit a request and a member of BNY Mellon's team will contact you.